Strongly condemn those morons in Badami Bagh Lahore who were involved in attacks on our Christian friends. These people only bring disgrace to Islam and its followers. 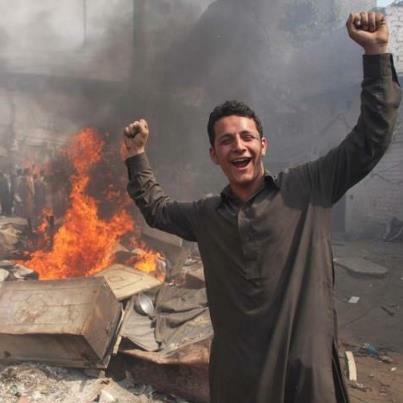 It seems these mobs are often backed by land grabbers or other mafias who create such situation to drive away these poor people using blasphemy.On many occasions, Muslims become the victim of other Muslims accusing them of blasphemy to settle business, personal, sectarian or other rivalries.Those who use blasphemy thing for their political or economic favors should be charged with blasphemy. what bigger blasphemy can it be than using the name of Deen to benefit their Dukaan. If they think they are serving Islam then the should think that non-Muslim citizens in an Islamic (at least by name Pakistan is Islamic) are protected minority and harming them is a serious crime and sin.